Are There New Link Building Techniques? Home > SEO Copywriting > Link Building > Is Innovative Link Building Dead? Is Innovative Link Building Dead? 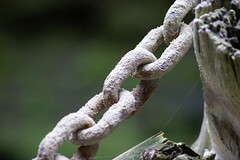 A WebmasterWorld thread has conversation around the topic of link building. The question in the thread is, is there anything new to be learned on the topic? Are there any new techniques to get quality links that have no been uncovered? Is the innovation behind link building dead? Quite frankly, there isn't anything unique or new. It's simply learning the techniques of finding places to get links and then methods to get links from those places. And those procedures are detailed in this forum repeatedly, with variations. Outside of that, if you say 'no link exchange request and no buying links', I don't believe there IS anything else. I agree that there isn't anything new being published, I agree with that. But there are new techniques being worked out. I see them in action. I hear them in confidence. And when I need one I invent a way of building links that no one else, as far as I can tell, has thought of. I am sure those who live and breath link building have strokes of genius when coming up with new ways to get links. I mean, article building, guest posts, widget creation, social media sharing and so on are old techniques - but who knows what will come out in the future that link builders can utilize? Future thinking is never dead.